Search engine optimization (SEO) is a process of enhancing traffic to a website by utilizing some proven SEO techniques. By doing SEO, your website displays in higher position in search engine results page when a user types a keyword or phrase. Our techniques optimize your website which helps the search engines rank your website on the first page of results leading to more traffic and thereby increased leads. Also, the brand awareness enhances, as well are the conversion rates. Keywords play a significant role to take your website to the top level. 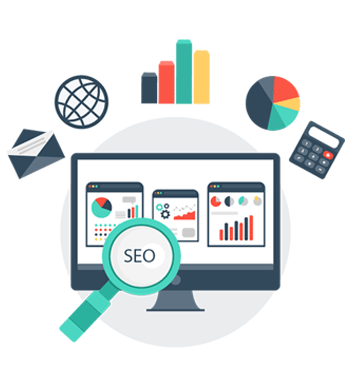 We have efficient staff who does extensive research on the keywords and suggest the right ones which assists your website to move up in rankings among your peers. In addition, our content team does a lot of copywriting work to meet the needs diligently. Webrocz is one of the leading Digital Marketing Agencies in Hyderabad, so pick us and see the difference in how your company is branded. Search engines reward websites that give users an outstanding experience and great content. So, we first analyze a website and find the flaws, rectify them and make the website perfectly ready for the Google to crawl. Our ultimate goal is to get more traffic to your website + increased conversion of sales and leads. The most competitive thing is to get your website rank in the first page of Google. 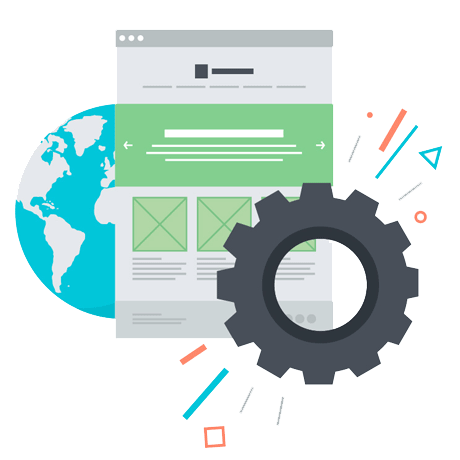 With our on-page optimization, we ensure that your website is well-structured and easy to be found by search engines. Unlike on-page optimization, off-page optimization does require extended efforts to get the best results. With activities like social bookmarking, guest blogging, promoting content via social channels, we strive to bring results quickly. Before the start of a project, our team sits together to understand the process and how to build an effective SEO campaign to serve the increasing needs of the client. With a proper approach to things, we generate results swiftly. This is a valuable high return activity in SEO field. The Keyword Density, explains how often a word is being looked for in the search engines. Onsite optimization involves ensuring the website pages, tags, titles, content and overall structure is optimized rightly for your target keywords. It refers to a process of getting external pages to link to a page on your website. Link building can really help in bringing your website to the top in search engine. Reporting and Analysis plays an imperative role in understanding our efforts related to content, linking structure and social media efforts. The average % of traffic from search engines that a website receives is increasing every after year. 96% of internet users search through the major search engines Google, Bing, Yahoo and AOL. Effective strategy always brings the best results! Choose the right keywords and optimize the website. Return on investment can be tracked with SEO. The increase in rankings, traffic and conversions can be tracked and analyzed easily to make changes to your strategy. Increase traffic to your website with search friendly website design and best SEO tactics. SEO enhances your brand awareness. Having your website on top in search results page automatically brings more exposure. At Webrocz, we love taking up new projects and face challenges. Our team of expert professionals are always ready to jump in and get going! Let’s kick off discussing about your project and help us start off on a high note.